Dancing has kept Wynda Howerton on her toes for 72 years. A Supervisor in Charge at Hickory Village Memory Care, a DePaul Senior Living Community in Hickory, North Carolina, Howerton’s exciting career as a dance instructor waltzed her into the classic movie Dirty Dancing, auditions with the Radio City Music Hall Rockettes and through many more adventures! “When my mother was pregnant with me, she would go to the movies and watch all the musicals and tap her feet along to the music pretending she could dance,” said Howertown. Howerton began taking dance lessons at the McQuire School of Dance in Hickory at the age of 4. She began serving as an assistant dance instructor at the age of 11 and a dance instructor at the age of 17. That same year, she and her family moved to Morganton where Howerton opened her first dance studio in the basement of her home. At the age of 18, Howerton was first runner-up in the Miss Morganton pageant. In 1962, Howerton met her future husband Jack, an Arthur Murray instructor. Jack asked Wynda to train with him for a show at the Sky Club in Asheville. After the run, he proposed marriage and the couple moved to New York City where they continued to work for Arthur Murray, traveling around the country teaching dance instructors. Howerton even taught Arthur Miller’s grandchildren to dance. While in New York City, Howerton was chosen out of 300 other students to try out for the Radio City Music Hall Rockettes, but was eliminated from the auditions because she became pregnant. She and her husband Jack had three sons before ultimately divorcing. “The woman running the auditions said I looked like Joan Collins and that I was in,” said Howerton. For about eight weeks, Howerton and a group of her students traveled each day to Lake Lure to film the ballroom dancing scenes in Dirty Dancing. Howerton’s dance moves are featured several times including the mambo scene and the final dance in the scene at the talent show when Patrick Swayze enters the dining room and grabs Jennifer Grey from her table where she’s seated with her parents. After Swayze delivers the famous line, “nobody puts Baby in a corner,” the camera pans across Howerton wearing a red dress and smiling broadly (at around second :14). She recalls it was cold and rainy during much of the filming and she was paid $30 a day for her role. Howerton made extra cash giving manicures and pedicures to the actors and staff on-set, including choreographer Kenny Ortega, who later worked with Michael Jackson. She recalls the first time meeting Patrick Swayze. The movie was released in 1987. Howerton was asked to star in the Dirty Dancing sequel but it never came to fruition. Howerton’s dance career continued for many years. 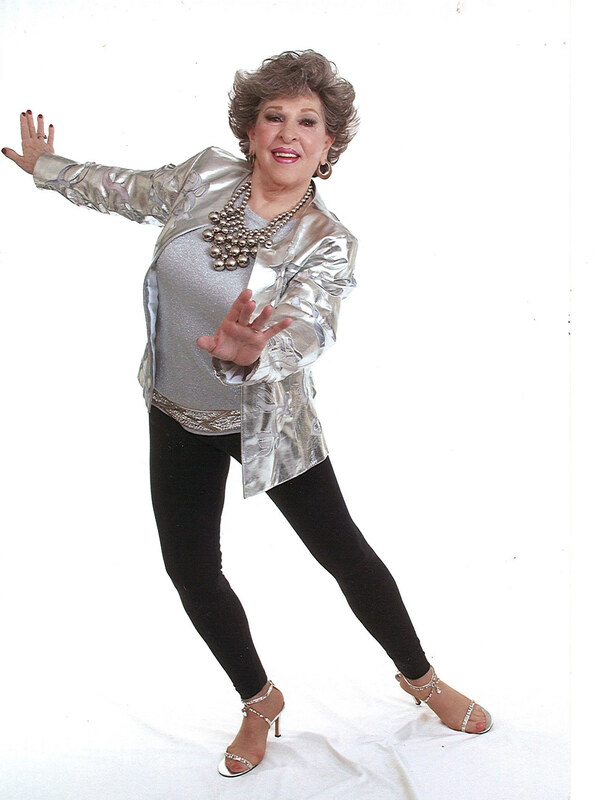 She operated American Star Dance Studio in Morganton, taught ballroom dancing classes at her church and choreographed Bethany Evangelical Lutheran Church’s 100th anniversary celebration. Several of her students have gone on to become professional dancers and to win pageants. A car accident put a temporary halt on Howerton’s dancing career, leading her to train as a Certified Nurse Assistant. Howerton began working with DePaul in 2005 at Wexford House in Denver, North Carolina before coming to Hickory Village Memory Care two years ago. Administrative Assistant at Hickory Village Suzanne Devine said she finds it very exciting to be able to work with someone who’s tried out for the Rockettes and appeared in Dirty Dancing. Howerton has led staff in exercise classes using her dance background in the past. “This lady can move,” said Devine. “Her gracefulness always shows. She’s such a pretty lady on the inside and out and she just cares for others.